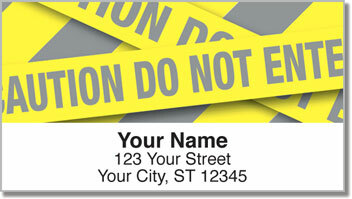 Here's a set of address labels you won't find at the typical stationary store! 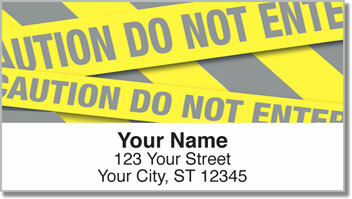 Caution Tape Address Labels from CheckAdvantage are a humorous way to get your outgoing mail ready to send. This would also be an interesting choice for those who work in law enforcement. Our convenient labels make it easy to complete an everyday task. No more scribbling out your name and address by hand. Now all you have to do is peel and stick! 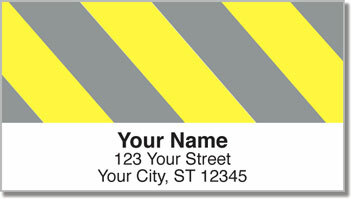 Get your very own Caution Tape Address Labels now! 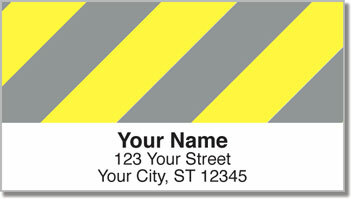 This unique design can also be ordered as a set of matching personal checks.